Btw, that Tin guy must be boiling in his suit. Anders: You're back Thank you for your nice comments. It's winter in Australia so I'm not sure the Tin Man is warm enough in that suit. Rob: Thank you Rob Ah, my only phobis is caterpillar! I love height and deep water. They make me excited. Sonja: I saw some photos of your 03SSor on flickr and they're nice. I saw a few minutes of a TV show about the Sydney Opera House - very interesting. 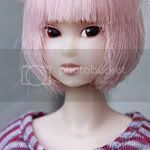 But funny, I felt like I had already gotten a more "personal" glimpse because I've seen a MOMOKO photo of it! Thank you soliloquies and Mikan! Sorry for deleting the photo before. I posted them again. Really really sorry! I also add 3 more photos Hope you like!